In every new version of iOS, few common problems always occur with the lock screen. Access to Siri tends to bring problems and simplified access to protected areas. 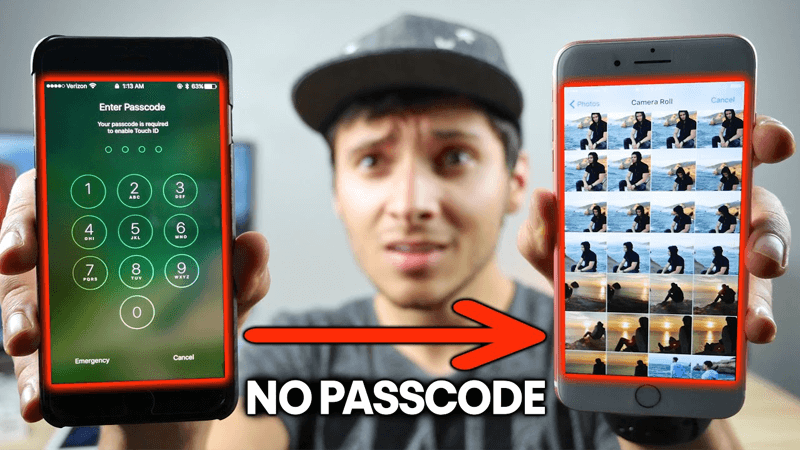 A new problem in this sensitive area of the iOS was introduced and again it is very simple to access user information with just a simple trick. The photos captured and messages exchanged with others they can be accessed by anyone. This new failure back to show the vulnerability that Siri could pose to be available directly on the lock screen. With just one call to this virtual assistant, a simple call FaceTime and a sequence of taps on the screen, you can access all the photographs and much more available on the iPhone. The process is not complicated and within minutes it can be applied to any iPhone or iPad, and there is only need of physical access to the device, eliminating the unlock code or fingerprint of the user. But this failure is a bigger problem than you might think. Not only is access to information, but the wide range of versions where it is present. The tests done, it was revealed that this flaw exists in the latest version of iOS 10.2 and goes to the much older version of iOS 8. This means that the iPhone 4S will still have this problem and that Apple will need to create an update to this version. However, all you need is to find out the phone number of the target’s iPhone and need access to the phone for a few minutes. But, hold on, what if you don’t have target’s phone number? Ok, don’t worry about that issue. Simply, you have to hold down the home button of target’s iPhone to activate the virtual assistant Siri and ask Siri “Who am I?”, Siri will reply you with the phone number that it is currently using. To test the fault simply you need to access to the iPhone, then you have to make a call on target’s iPhone, even starting a FaceTime call will also do the same. Then, again you need to activate the virtual assistant Siri by long-pressing the Home button and simply have to say “Turn on Voice Over,” just after command Siri will complete your command by turning it ON. The next step is the trickiest of all and which will probably have problems. However, after doing the above things simply, go back to the message screen and just double tap on the bar where you are required to enter the caller’s name and then click on the keyboard. But, keep in your mind that this process may not succeed in the first attempt, so just keep trying this step until unless you see a slide-in effect on the iPhone’s screen above the keyboard. Now again command the virtual assistant Siri to Turn off “Voice Over” then come back to messages and over their type in the first letter of a caller’s name in the top bar, then simply tap on “i” icon next to it, after doing that just create a new contact. But, the tech giant Apple may have learned from this failure and will soon release a fix for the problem. Until then the only way to protect themselves is by disabling access to Siri on the lock screen.